Welcome to DC Custom Guitars ! 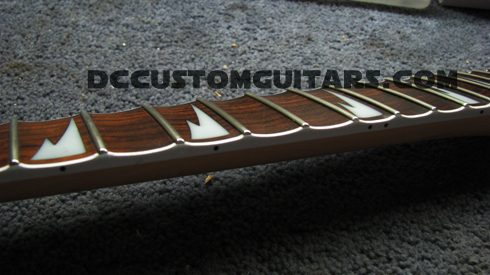 We Specialize in Custom Guitar Mods, Builds and Fretboard Scalloping. 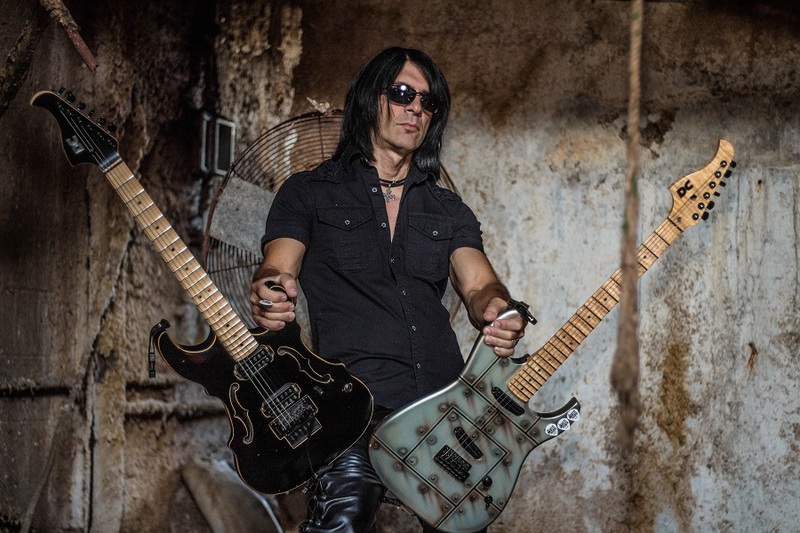 Welcome to DC Custom Guitars! 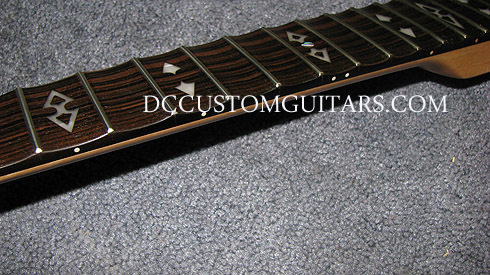 Each DC Custom Guitar is designed and built around our customers individual needs. If you are a collector of fine heirloom quality crafted instruments, or an amateur / professional musician, we feel our instruments will meet your every desire. Here in the DC Custom Shop, we use only the finest hand selected woods available. We also have access to an enormous supply of exotic woods, just waiting to be formed into a unique instrument. Bodies and necks are crafted to your specifications. For our customers who need traditional shapes, we have an affiliated licensed Manufacturer's available to suit your needs. 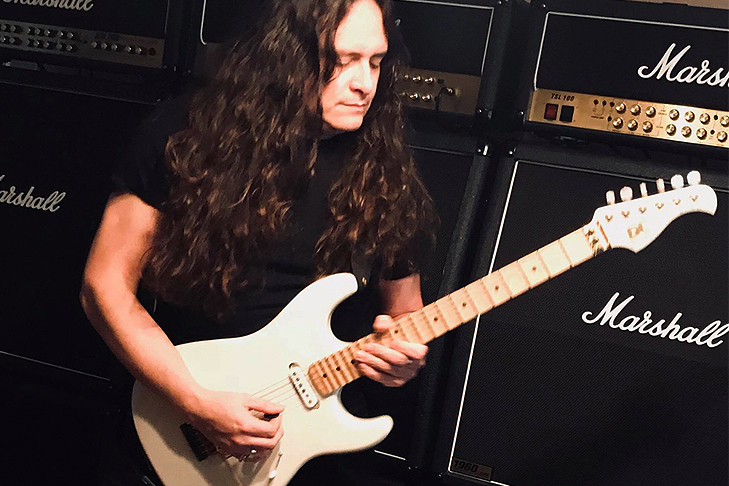 Each instrument in our USA Custom Shop is built, finished, wired, assembled and set up by Master Luthier / Professional Guitarist Dean Cascione. You can be assured that each guitar is meticulous set up and plays sounds amazing before it leaves our shop. 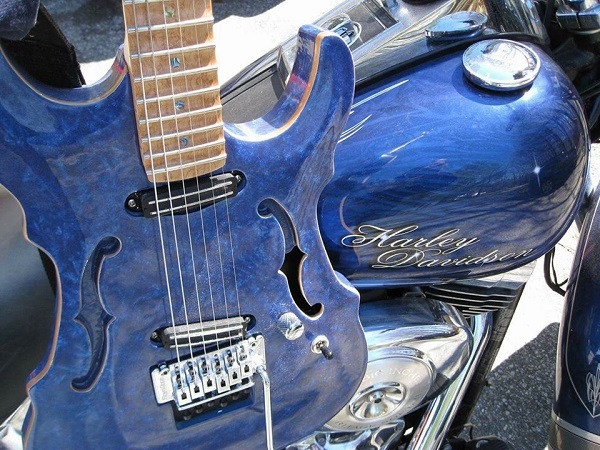 DC Custom Evolin in Blue Jean finish and chrome to match our clients cool custom Harley Davidson motorcycle. 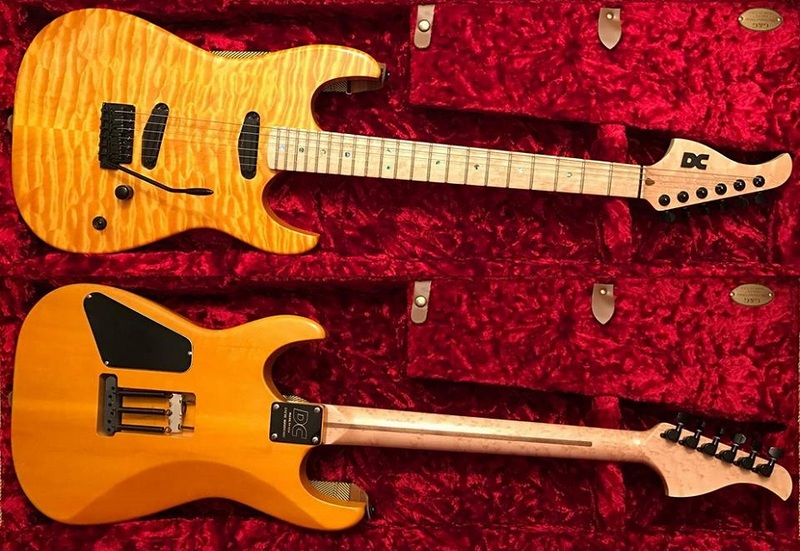 Guitars take approximately 6 months to build. 1/2 deposit is due at the time of placing the order. 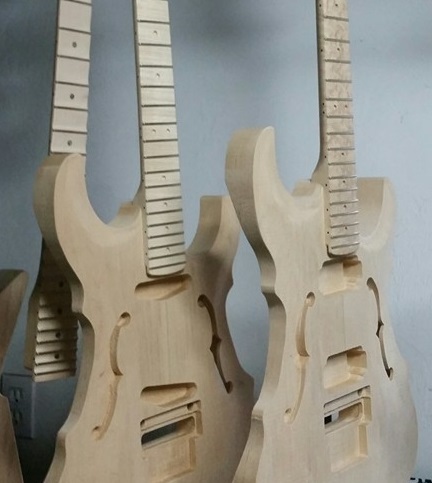 Photos of the guitars progress are sent to our clients to keep them excited about the project along the entire build. "Isn't it time you stop playing someone else's custom shop signature model and started playing your own"? Together with our clients, we work as a team to build the ultimate custom guitar. Have an existing guitar the doesnt have the right tone, fuction, or feel ? We can install new pickups, custom wire, add a tremolo or block the bridge, scallop the fretboard or even rework the contours of the guitar to fit your demanding needs! 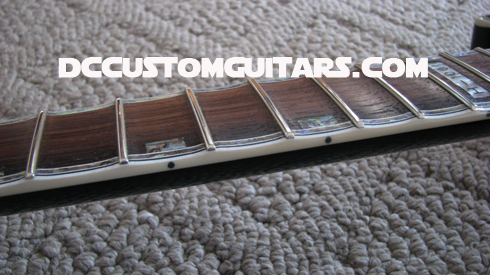 Let DC Custom Guitars mod your guitar and get the most out of your existing guitar! "I go to Dean at D.C. Custom Guitars for all my neck mods. 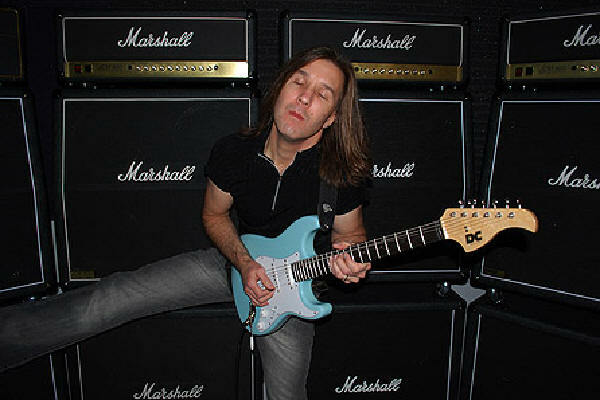 I trust Dean with all my touring and recording guitars from inlays to finishes , great work!" "My D.C. Custom guitar is an extremely well crafted guitar. The tone woods are top notch and nothing but a sonic delight. The scalloped board is very cool and nicely scooped. The tuning is extremely stable, and I much prefer the nitro finish that this guitar has over the now widely used (and not as tone conducive) poly coat finishes. I can't wait to see this beauty age. The D.C. style headstock is super cool too and really adds a bit of attitude to the curvy strat body. 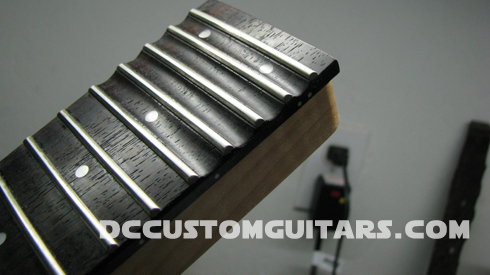 Let DC Custom Guitars help you unleash the secrets of total note control by scalloping your guitar's fret board! We have been professionally scalloping guitar neck fretboards since 2004 and ALL of the work is performed by hand, in our shop ! We are experienced in scalloping set necks, bolt-on necks, neck thru guitars and just about any type of dot inlay configuration (Dots, Shark fins, Abalone, Block)We also offer scalloping services to many OEM companies as well and would love to work with you!! Its as easy as packing your neck (s) safe & secure and shipping your bolt-on neck or entire neck-through guitar to DC Custom Guitars for all your scalloping needs! 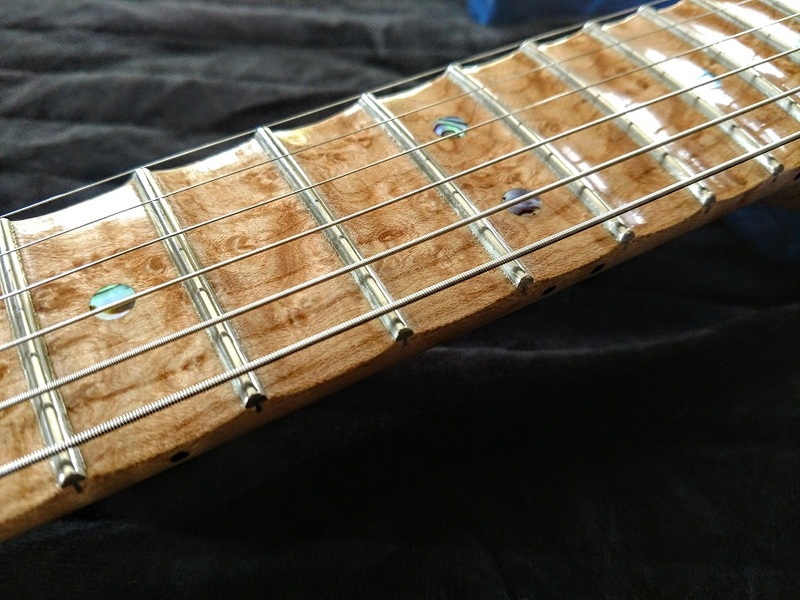 '"UNLEASH the SECRETS of the SCALLOPED FRETBOARD"
After submitting payment for scalloping services, The next step will be to package your guitar neck in a sturdy, safe box and send it to the following address: Dean Cascione c/o DC Custom Guitars. 608 Henshaw St. Rochdale, MA 01542 USA - Once recieved, a confirmation email will be sent out and we will then begin working on your project! Yes we can scallop shark fin inlay necks and bound necks too!! 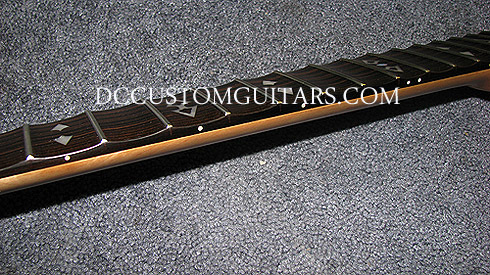 We can scallop BC Rich Fretboards too!! 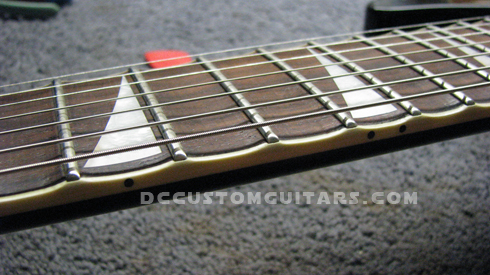 How about scalloping your Ibanez Prestige neck ? Mod it to Shred! Or scallop an Ibanez fretboard wth cool inlays - we can do it!! of the scalloped fretboard today! 7- String Jackson guitar scalloped fretboards simply SHRED!!!! How about we can just scallop the last 4 frets to give you that extra bite while soloing! 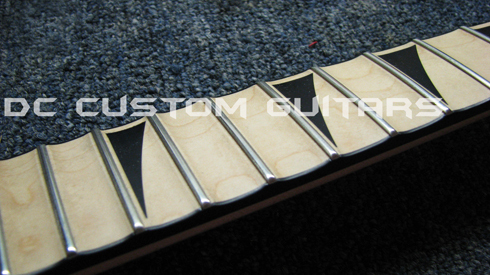 Neck scalloping is the removal of fret board wood or material between each fret. The two popular types of procedures to scallop a fret board are "barrel- straight through automated machined" and "hand scallops (which follow the neck radius)" DC Custom Guitars offers hand scalloping because we feel not only is a radius hand scalloped neck more natural & comfortable to play, but in fact it leaves more wood intact which equals a stronger, straighter neck. 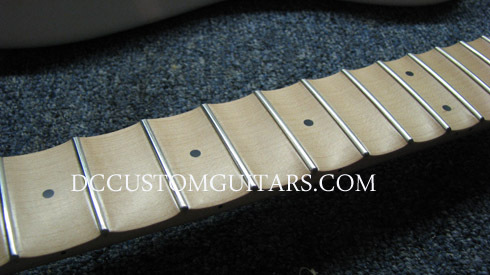 When the procedure is complete, the fret board will look identical to many popular scalloped shredder custom shop necks found on high end guitars. 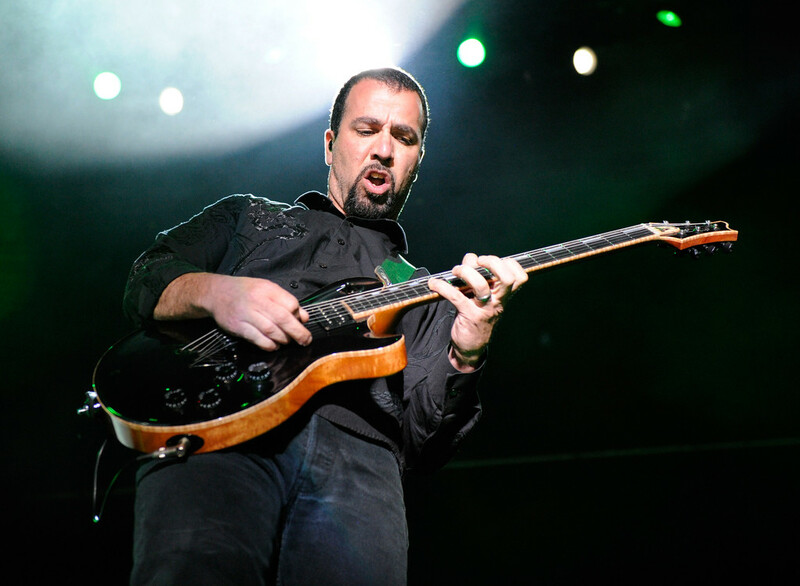 There are many reasons why some musicians prefer scalloped fret boards over conventional fret boards. The most important reason and most noticeable advantage is more control of the notes fretted. More control of each note fretted equals better tone and a cleaner sound.. no matter how fast you are playing. This also means more control when bending and using the vibrato/pull on/off techniques. The extra control is due to the fact that your fingers wrap themselves around the string, instead of being bottomed out on a conventional flat fret board. More surface area of your finger has a grip on the string which gives you the advantage of gaining complete control of each note! 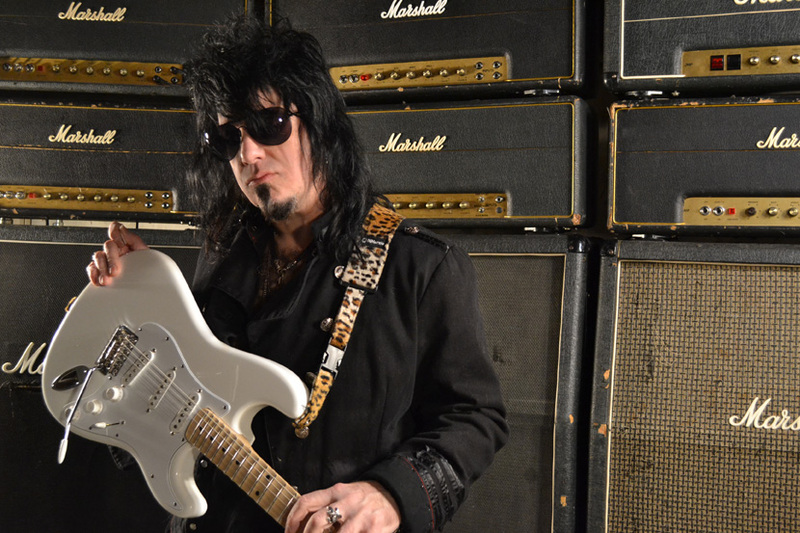 Unlock the secrets of Blackmore, Malmsteen, Stump, and Impellitteri & get shredding today!! Side dot installation depth plays an important role in the actual Scallop Depth. Necks can typically be scalloped to a depth of 1-2mm w/o affecting side dots. 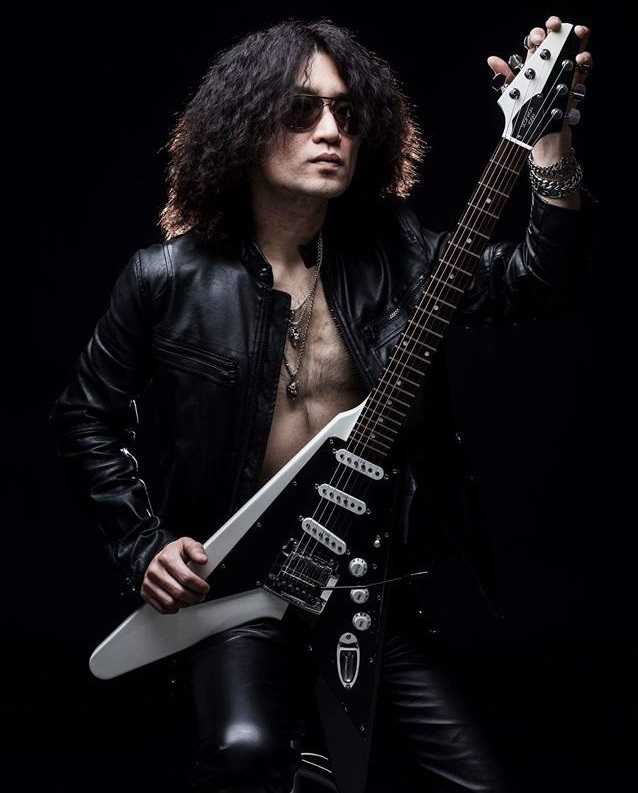 Blackmore Style progressive style scallops, Malmsteen full style scallops, 12th fret up scallops , 9th fret up scallops & 21-24th fret scallops are our most popular scallop types. We also would love to work with you to create your very own scallop shape! 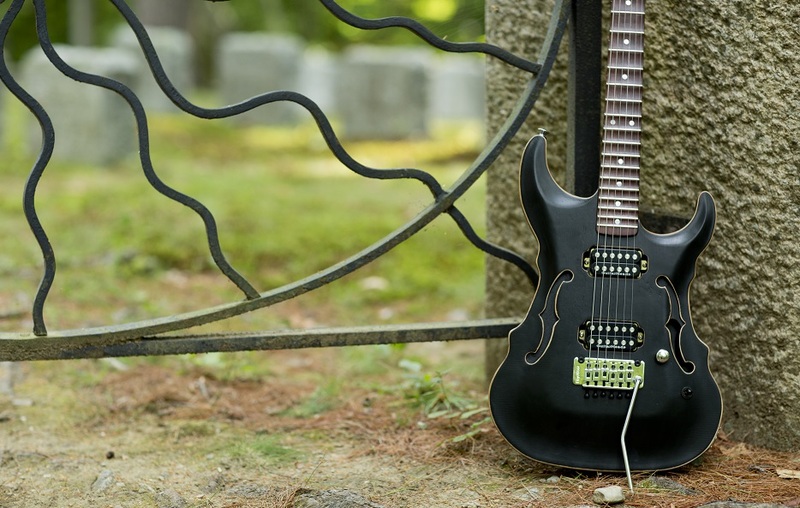 The Blackmore scallop is a progressive fretboard scallop in which the shape looks similar to a " Nike Swoosh" symbol from the side of the fretboard. The YJM scallop looks similar to a "Full Pipe" BMX or Skateboard ramp that extends from fret to fret. The Blackmore leaves more wood intact for people who fret chords with heavy hands aiding the guitarist from going out of tune. With the YJM style scallop, all the wood is removed and your fingers have maximum bite around each string across the entire fretboard register. The Blackmore style scallop has little to no scalloping under the bass strings (EAD) and it progressively gets deeper under the (GBE) strings, and after the 12th fret countours into a full scallop. 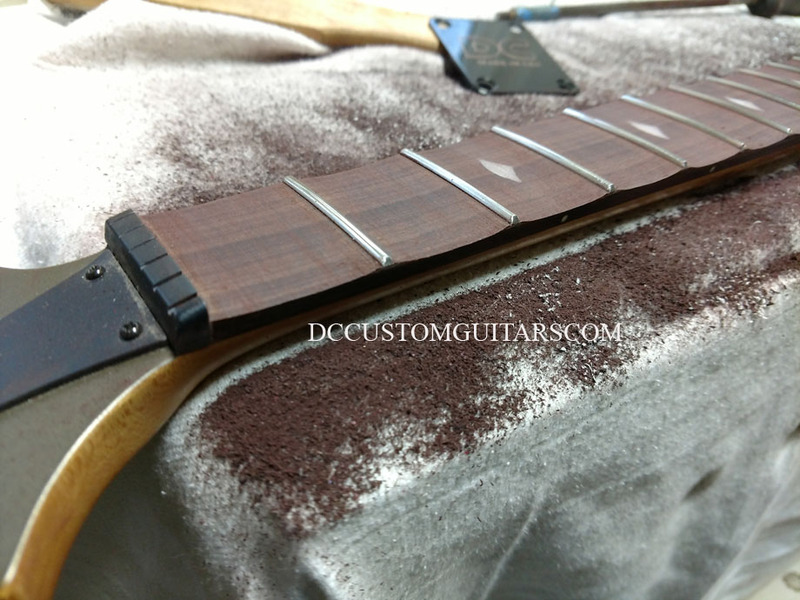 Will You Re-Finish The Fretboard After it Has Been Scalloped? Typically 2 weeks for Rosewood family woods, 3 weeks for maple and ebony woods from the time the next is recieved at the shop. Where do I send my neck? As soon as your neck is received by US - We will send you a confirmation email. It takes approx 2-3 weeks to complete a scallop job from the time we receive your neck. Don't worry - We also keep all out clients informed of the project progress (via email)! Be sure we will send cool pics and chat with you about the progress! The shipping charge is to cover the cost of shipping the finished guitar or neck back to the customer. We ship FEDEX- Packages are insured for the exact amount of the guitar plus and mod cost so everything is covered! 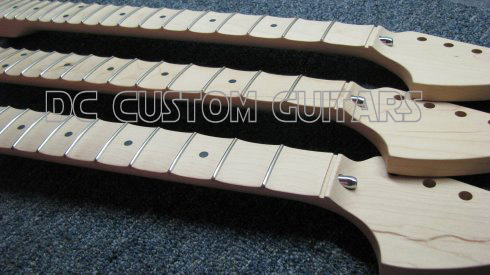 Yes there are always risks when modifying a stock guitar neck. Manufacturers can vary their tolerances from time to time with fretboard thickness, inlay depth and inlay glue/ installation materials. 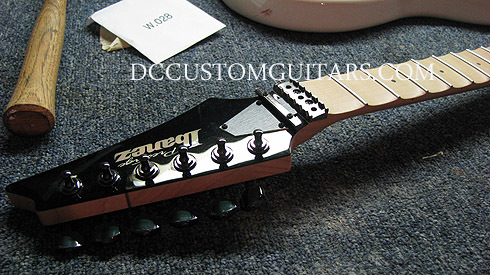 DC Custom Guitars is not responsible for tolerance variation between manufacturer brands and materials. I Have More Questions That Are Not Covered here - Help! 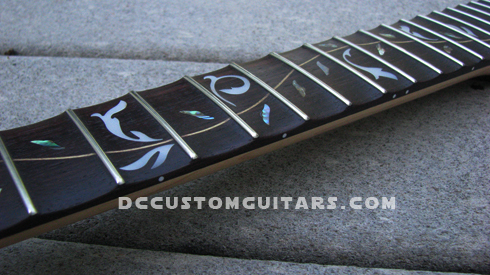 Let DC Custom Guitars Scallop your Neck today!